The Maldives’ biggest ever demonstration, calling for the release of political prisoners, including former president Mohamed Nasheed and former Defense Minister Mohamed Nazim held on May Day, and attended by over 25,000 protesters from Male’ and outer atolls, was stopped by security forces at 6 pm using tear gas, baton charges, stun grenades and mass arrests. .
As protesters headed for a mass prayer at the mosque, the ‘Special Operations’ police moved in, indiscriminately beating protesters with batons, firing tear gas at the crowd, and spraying pepper spray into people’s faces. Some protesters were sprayed with pepper spray multiple times. 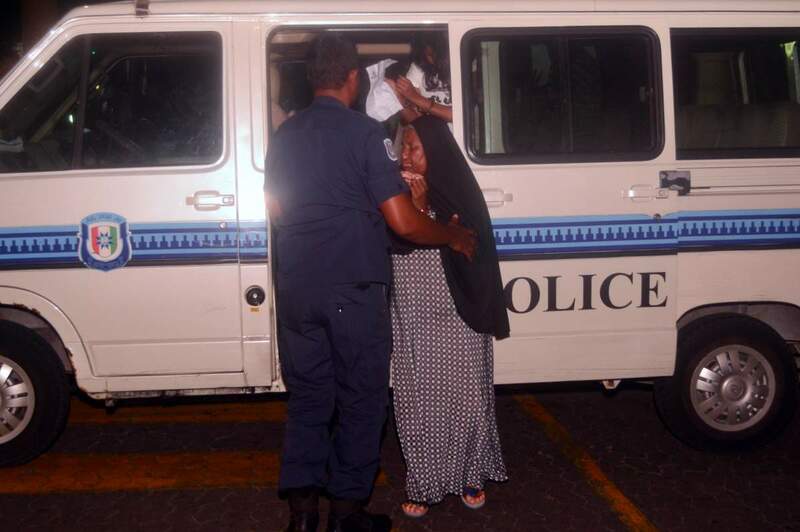 According to lawyers, of the 194 arrested, only 19 were released, but only because the police had failed to present them at court within the 24-hour period required by law. The numbers arrested yesterday are the largest from a single protest in ten years. Adhaalath Party president Sheikh Imran Abdulla, Jumhooree Party deputy leader Ameen Ibrahim and Maldivian Democratic Party (MDP) chairperson Ali Waheed were also detained for 15 days.